On cycling news today, it says the Lampre-Fondital team will be riding Willer bikes. Does anyone know which team, if any, Cannondale is going to sponsor next year? Bikes: 2003 Specialized Hardrock Pro w/ slicks, flipped stem and HB, 2003 Colnago Dream with full Dura-Ace 7700 double, 2001 Bianchi XL Boron/Daytona, Mavic Open Pro/Campy Centaur/DT Champion built wheels. I hope they sponsor me. Maybe they can hit up Saeco for some money, fetch Cipo out of retirement, and do it all over again. It's not like there aren't a million Saeco Cannondales out on the road. They can just marshall a few of those and start a team. And it's "Wilier", not "Willer." They sponsored Cofidis the last few years. Damn nice bikes, except the new ones have a garish "WILIER.IT" on the down tube, and that classy, cursive "Wilier" has been pushed up to the top tube. Strange. Check Cannondale's site for team news. The Lampre team, as already stated, will be going to Willier bikes for '06. From what I've read, Cannondale's sponsorship of Lampre-Caffita was grandfathered in when Saeco and Lampre merged. Not sure whether Cannondale will be sponsoring anybody for next season. 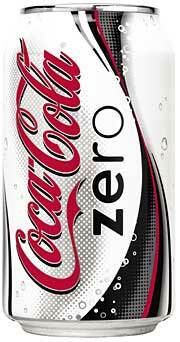 I swear it looks like the Coca-Cola font.. I was told by someone tonight who Cannondale is getting, it is soooooo outrageous I don't still believe it myself. But if it is true this team is going form one of the arguably best TT bikes and road bikes to a great roady and poor tt frame. I can't believe this is on the forum right after I was told this. I don't know if I'm supposed to blab the hell out of this. So just take my hints above and go crazy. I'm going to do some research and I'll be back. p.s. 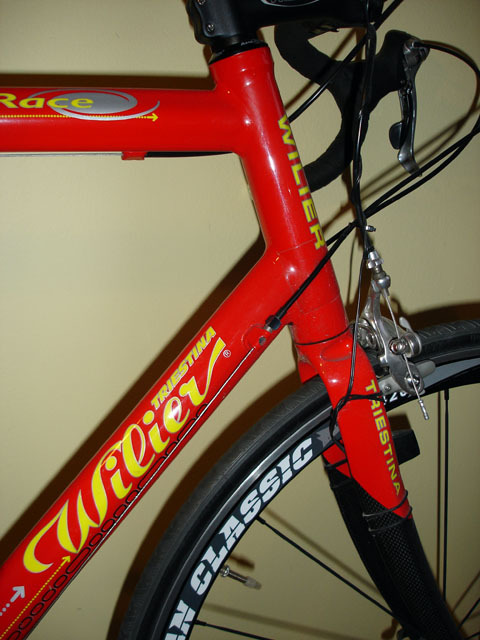 Wilier makes sweet bikes. All right, I'm pretty sure what I was told was wrong so I'm going to post it, I just had to visit Cervelo and see that they indeed extended their contract with CSC through 2009. However, I was told Cannondale was getting CSC. It seems almost 95% false though. The person said it had to do with money issues in the contract, but I can't imagine CSC not having a ton of money as one of the best(if not the best) cycling teams in the world. I'd like to hear where your contact get that information about CSC moving to Cannondale. Bikes: '05 Merlin Cyrene, '96 Cad 3 C'Dale "the boneshaker"
so now is as good a time as any to ask how the whole sponshorship thing works in professional cycling. Im sure money is a big part of it and Cannondale is one of the biggest players in the bike industry. They would probably be well served by upping there exposure a bit in pro cycling. Can teams not be bought? Hey, I thought the same exact thing last night! Got an Alpe D'Huez recently myself. Is that one yours? What compression plug are you using in the 1" steerer? The one that came with mine is corroded, and the other one I have is too snug (supposed to fit 1" and 1 1/8"). I heard the info about Cannondale-CSC from a guy who used to race with one of the top U.S. level teams(I don't know which, hes a cousin of my fiance so this is the first time we've talked cycling, I believe it was a Saturn team though) and is also good friends with a Cannondale rep(good enough to wear a sweet Saeco sweatshirt to Thanksgiving that he got for free). Although, he said he was told this a while back. Cannondale is talking to several teams. They realize the importance of having a top team riding their bikes. Last edited by simplyred; 03-31-09 at 10:11 PM. I'm sure Cannondale will land somewhere. Not that I care that much. My new Six13 doesn't have 'Lampre Caffeta' decals on the top tube : ). The only reason I'm concerned is because it's the way Cannondale has developed such great bicycles, so I hope they continue. It would be cool to see Ivan Basso on a Six13 or R5000 eh? Cannondale it not sponsoring CSC. Oh and Triguy ask your fiance's cousin if he doped. The reason I ask: My coach (used to race for prime alliance) told me that quite a few saturn guys doped quite a bit. Why does that frame need a compression plug? Need a compression plug and top cap where the stem gets clamped down to the carbon steerer tube. Just finished building her up tonight. She's a beaut. Sorry, didn't read cyclingnews before I posted. It will be interesting to see what happens. You'd have thought that Cannondale would have had an agreement somewhere before getting dropped by Lampre though. I went over a pothole, now what?